So here it is: another holiday season! I hope you are feeling as festive as I am. Jingle! Jingle!! What are your holiday plans? 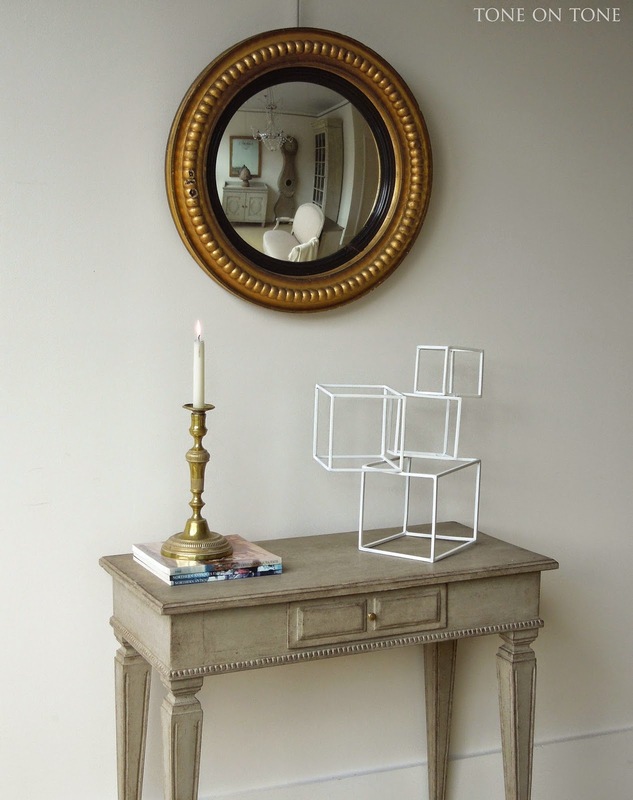 Now I want to share a preview of our newest shipment fresh from Scandinavia. 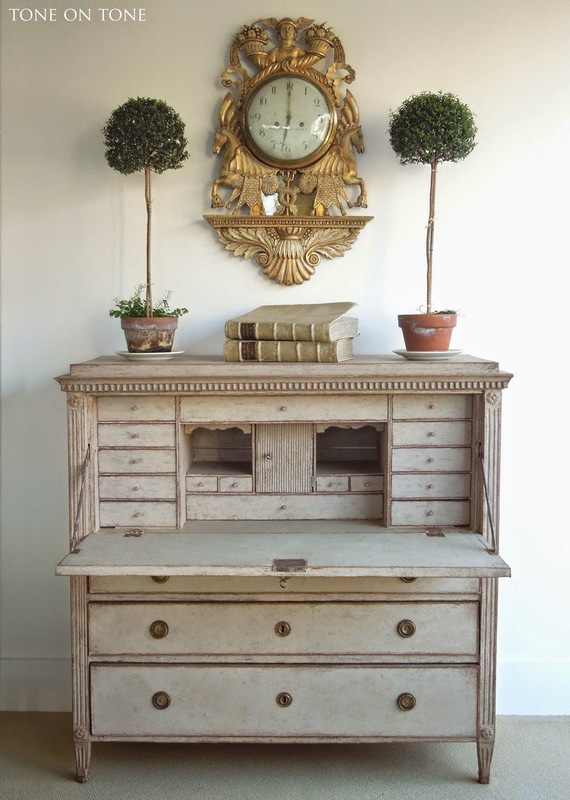 It's a classic full of favorites: sculptural clocks, fitted secretary desks, vitrine cabinets, pairs of chests, and other clean-line pieces. So when you are out shopping or running errands, please pop in. 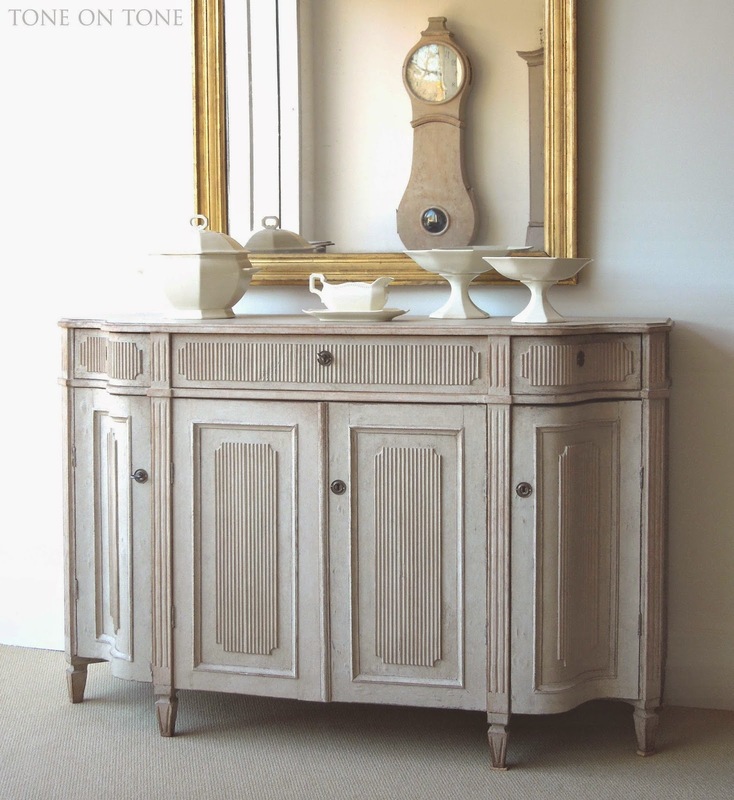 In the shipment are a few Swedish sideboards, such as this lovely one with curved ends that step back. 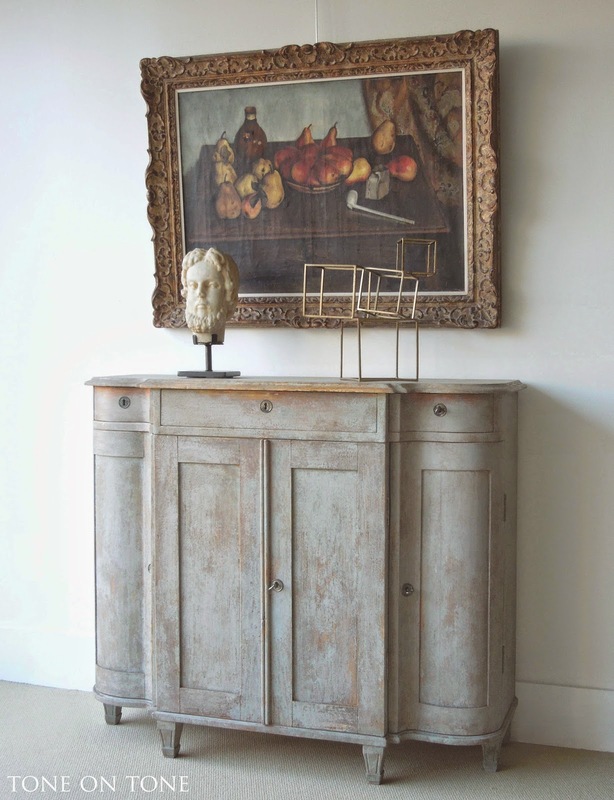 Bringing together four centuries here: the Continental carved marble head is 18th century; the Swedish sideboard is from the 19th century; the Montparnasse framed still life by Edmond Ceria is dated 1923; and the sculpture is new. 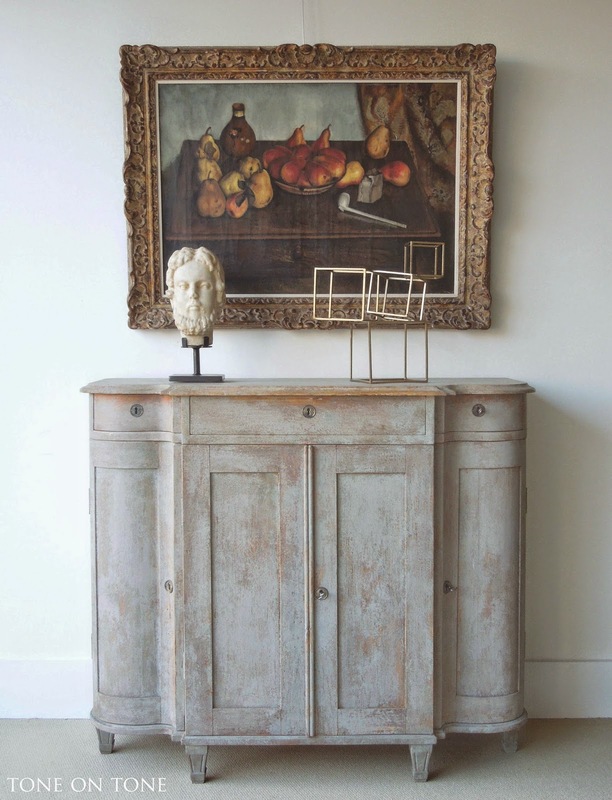 Another Swedish sideboard with gracious form. 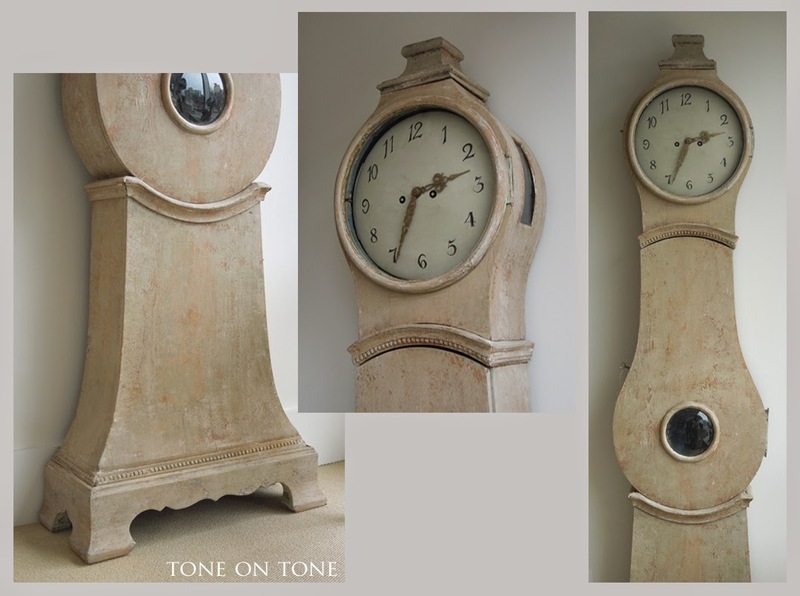 This one has handsome carved reeding and fluting. 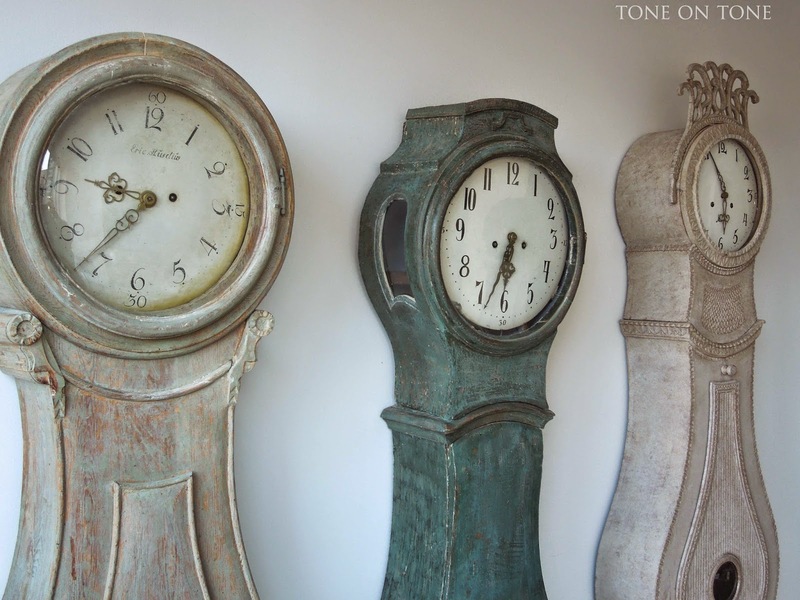 Tom and I found an eclectic collection of 1700s and early 1800s Swedish tall-case or Mora clocks - many scraped back to the original paint. Each unique one is full of charm, character and presence. Interestingly, our first Swedish antique was a Mora. 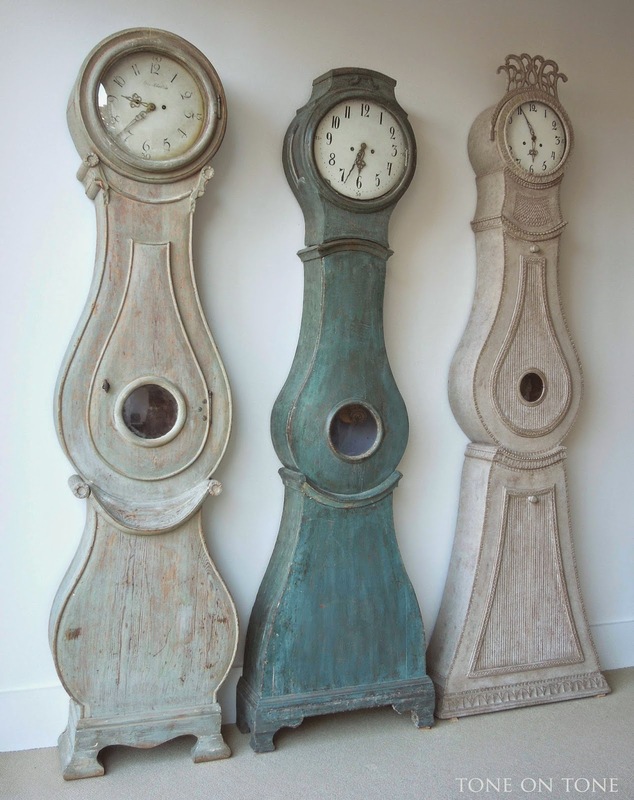 And though they are popularly known as Mora clocks (after a town in Sweden), these curvilinear beauties were made all over Sweden. 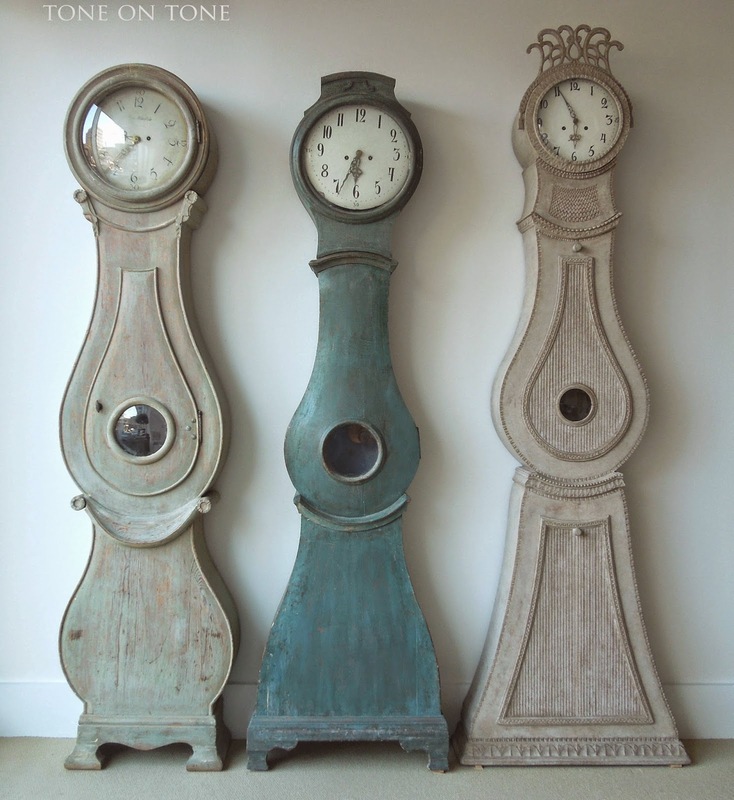 ABOVE (left to right): A sculptural footed clock from Fryksdalen in Varmland; a blue-green early painted Mora with classic hourglass shape; and a tall Gustavian reeded one from Vasterbotten. Two more! 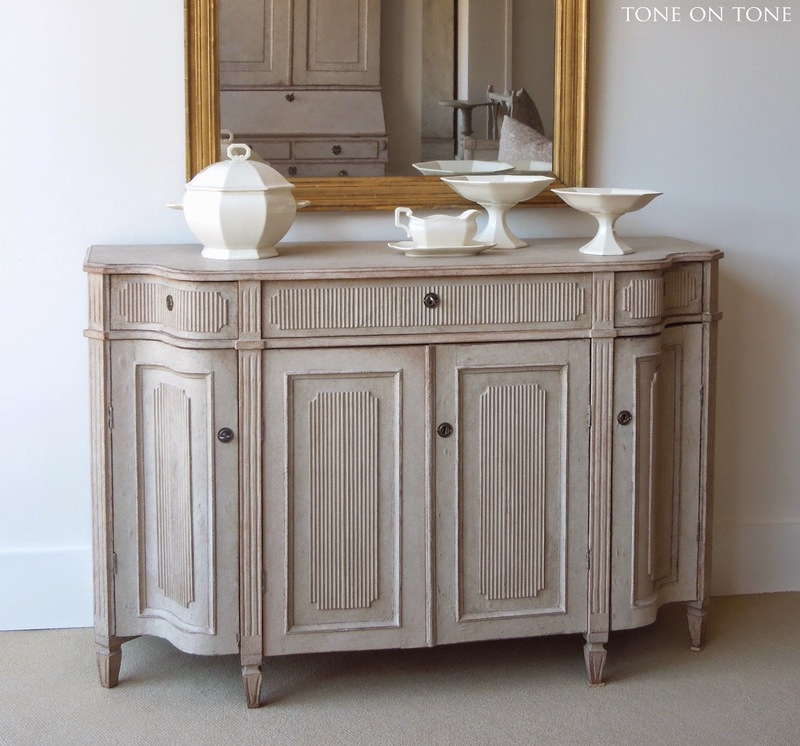 ABOVE: A pale gray one with beautiful carved details. 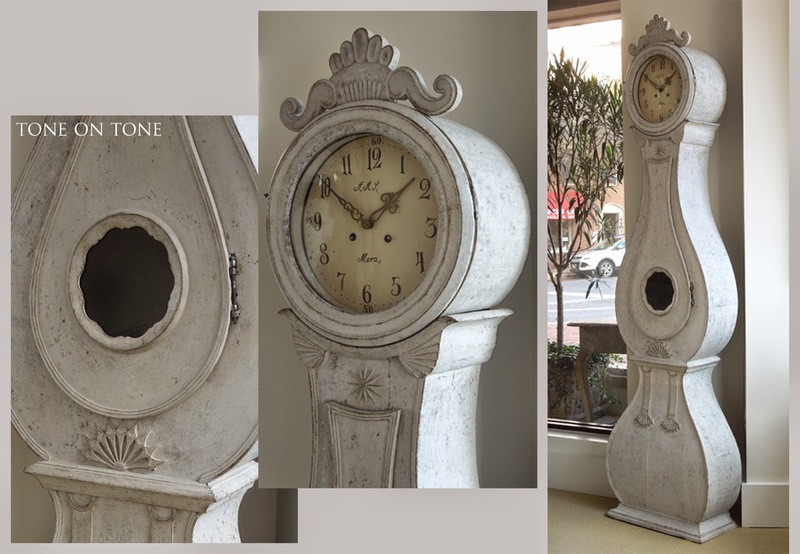 BELOW: From the 1770s is this fine and elegant Rococo clock. 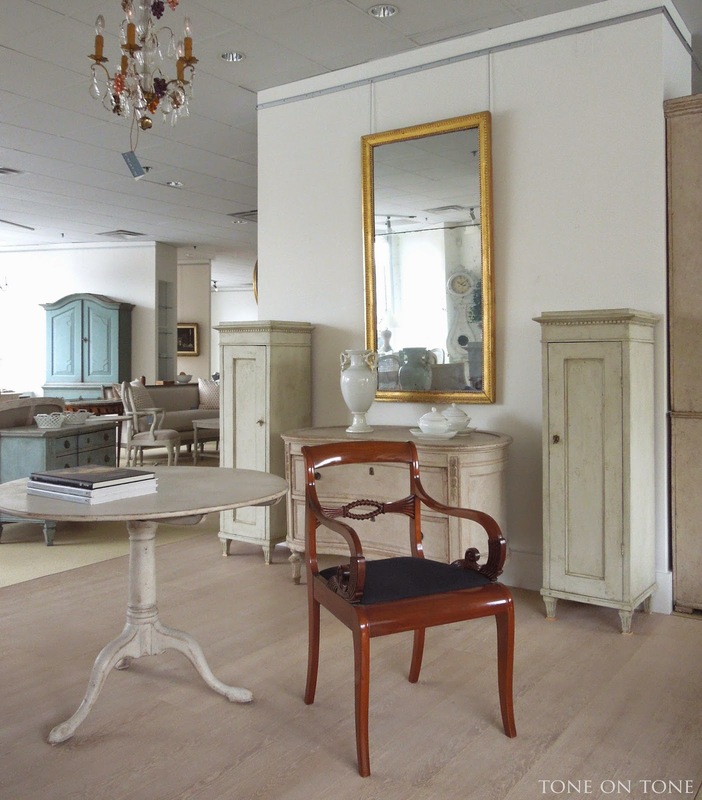 Many Swedish painted secretaries have also arrived. 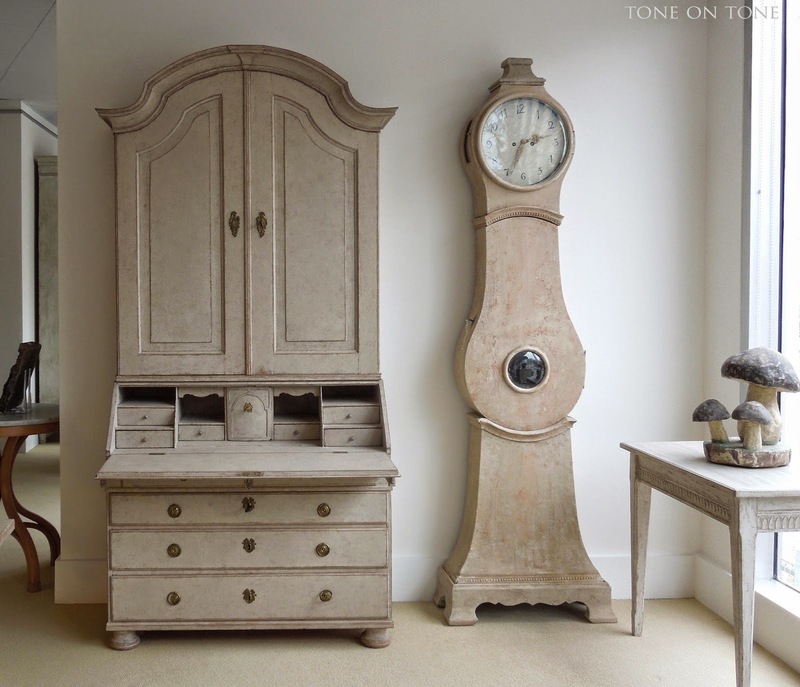 This tall one, made in two parts, has a plethora of drawers. 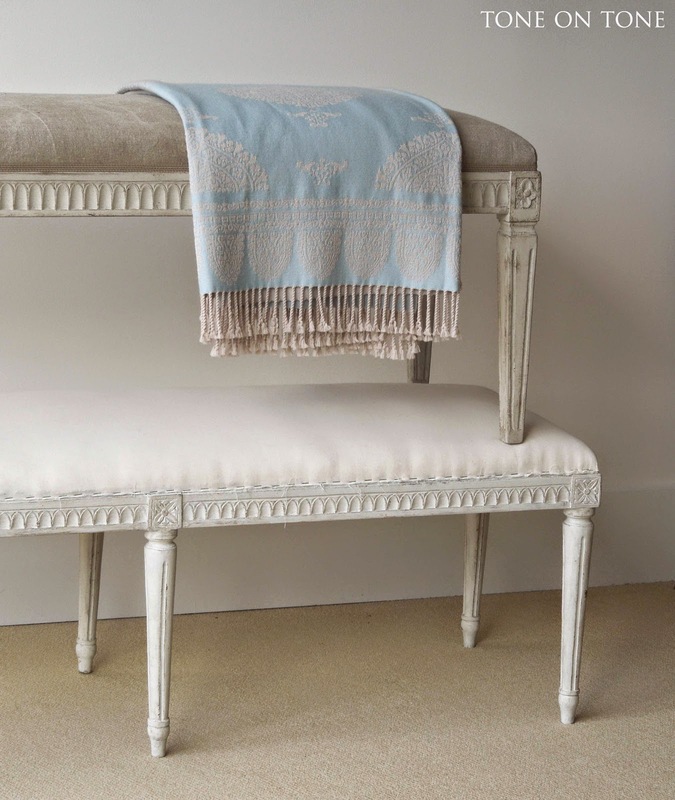 It would make a stunning statement piece in a foyer, living room or bedroom. 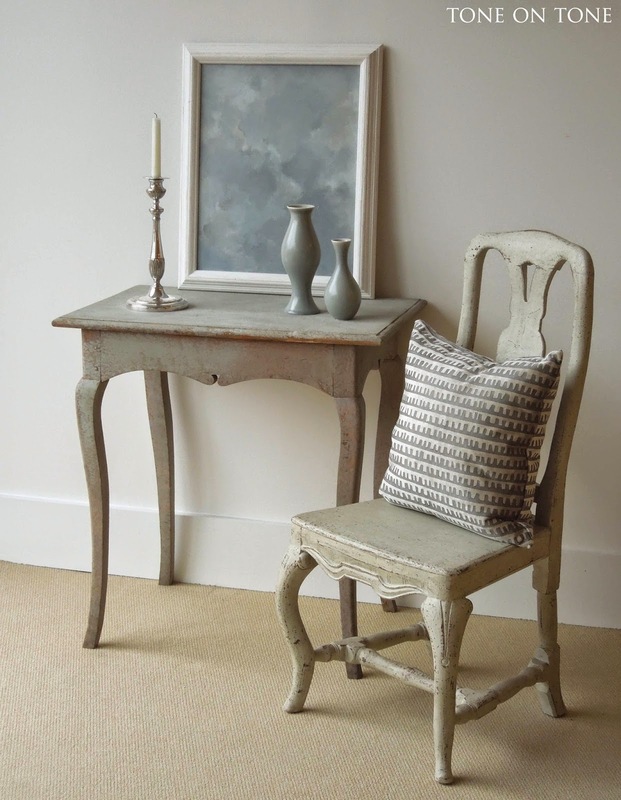 With a silver tray on the desk and doors opened to showcase plates, it would be smashing and unexpected in the dining room. 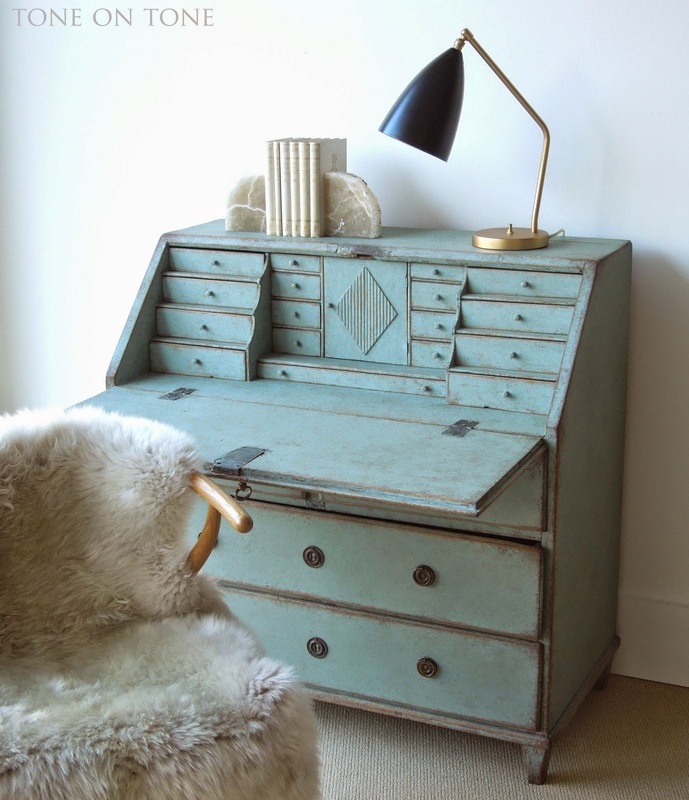 This blue painted secretary desk, with its sharp lines, can go traditional or modern. 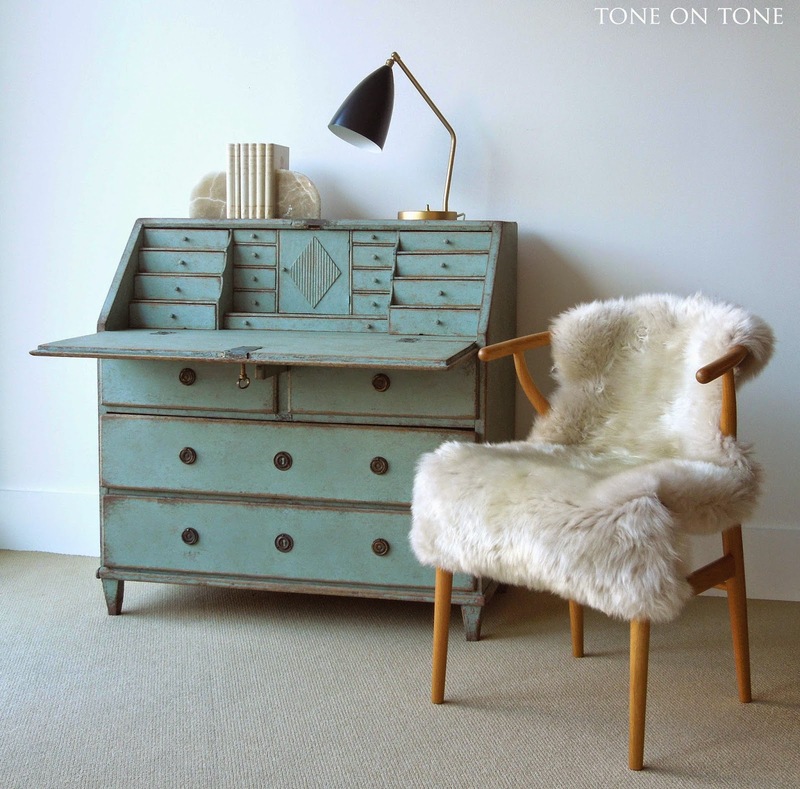 From Halsingland comes this special secretary in all of its "fitted" glory. 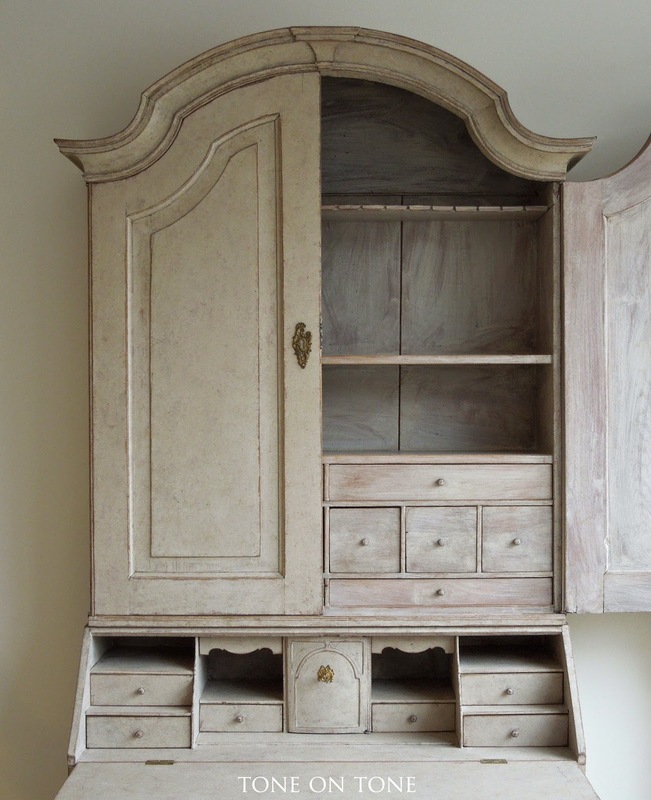 There are a total of 25 drawers, niches and compartments. Can you find them all? Hint: the top lifts up for secret storage. I can only imagine the stately home that once housed this important piece of furniture. 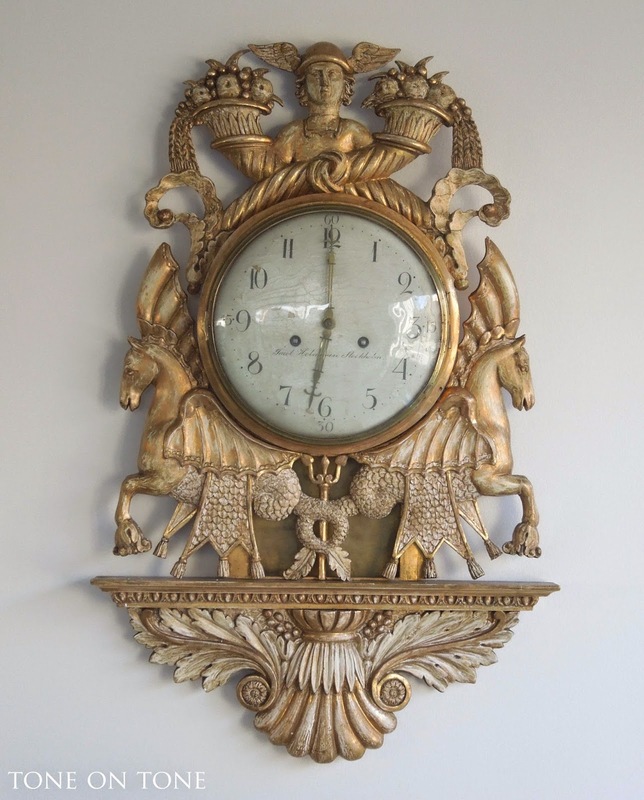 Speaking of important, this Swedish Neoclassical Ca 1820s gilded and carved wood (not plaster) cartel clock certainly is that. Made in Stockholm, the clock with its enamel dial and convex glass is crested with double cornucopias flanking the figure of Mercury. Supporting the dial is a pair of mythical winged horses over a plinth of acanthus foliage. 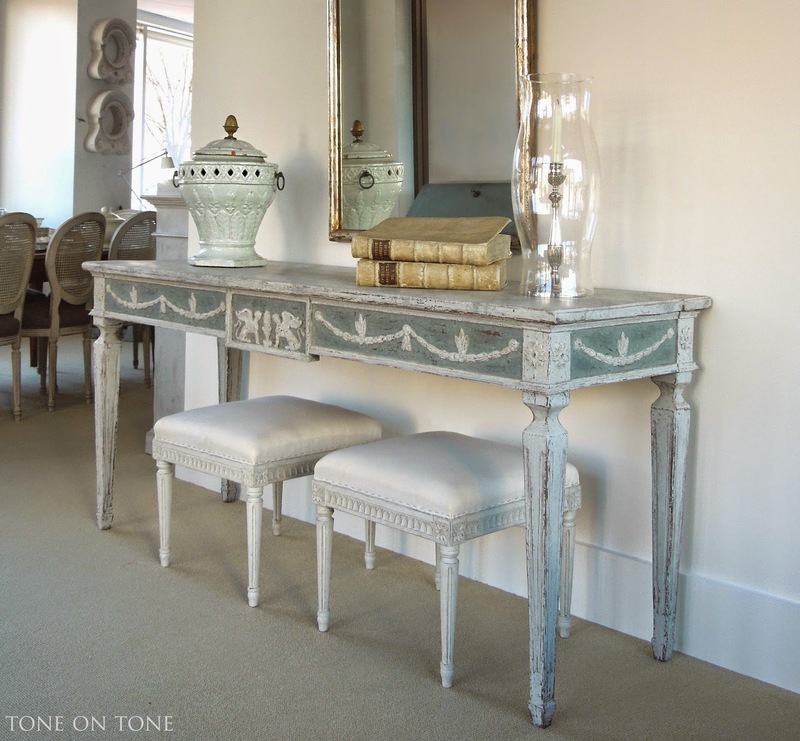 Do you like the secretary accessorized with creamware or topiaries? 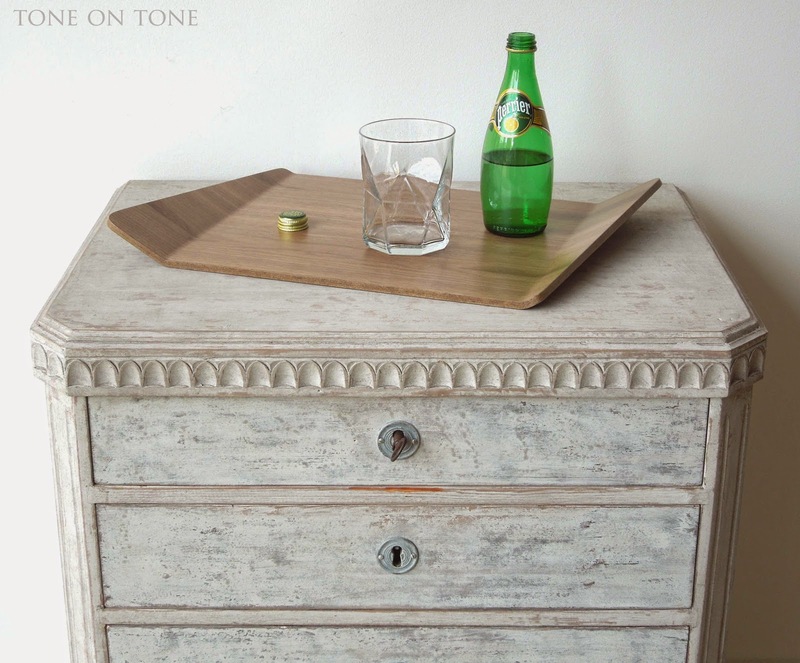 Let's check out a few new "old" tables. 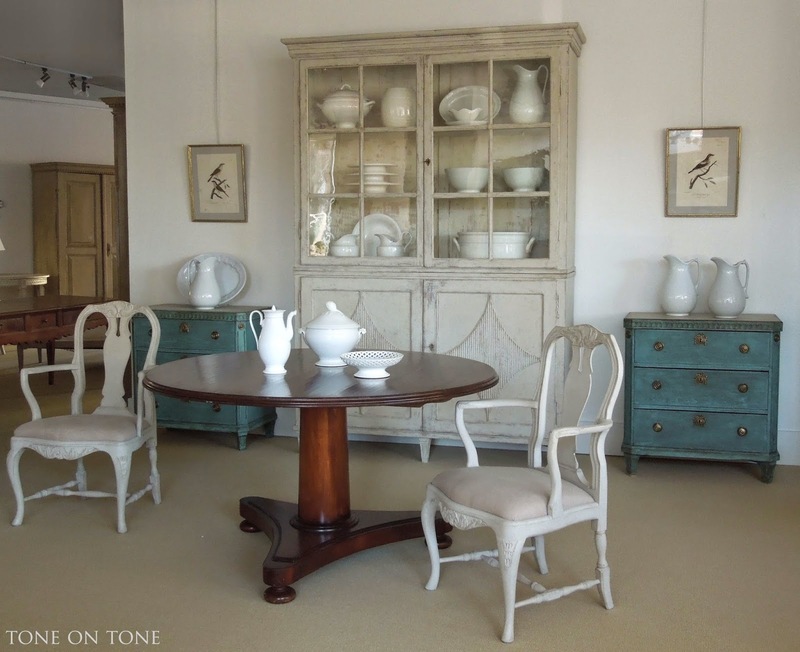 ABOVE: A Rococo free-standing table with shaped apron on all sides. 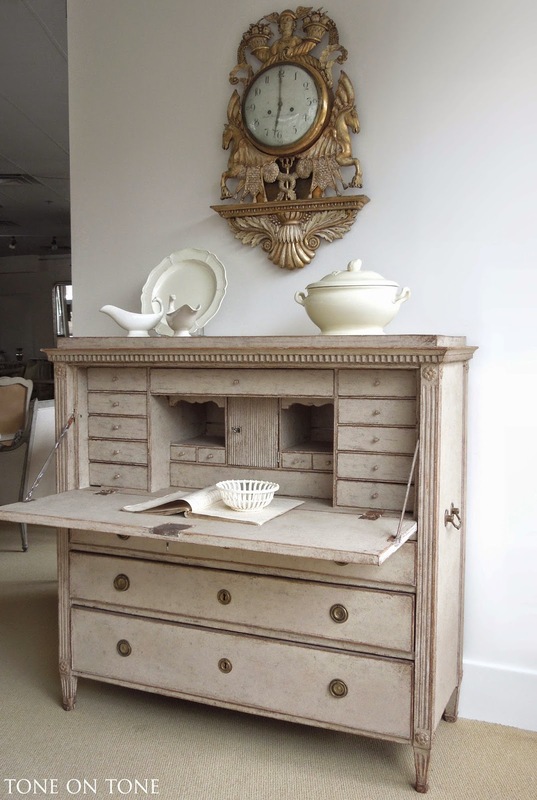 BELOW: A Gustavian small console having narrow depth. 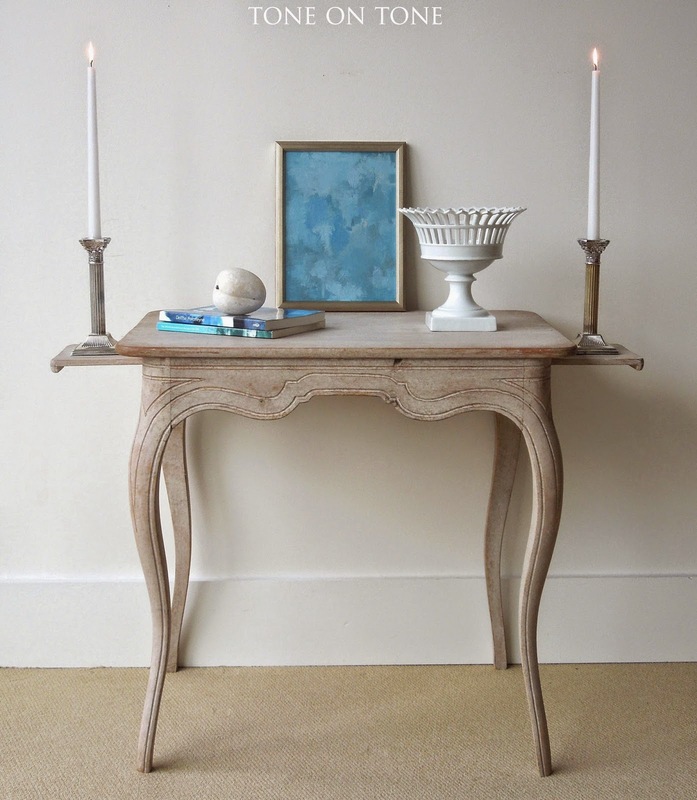 I have a fondness for tea tables, game tables or consoles with candle slides. They take me back to a time illuminated by candlelight. 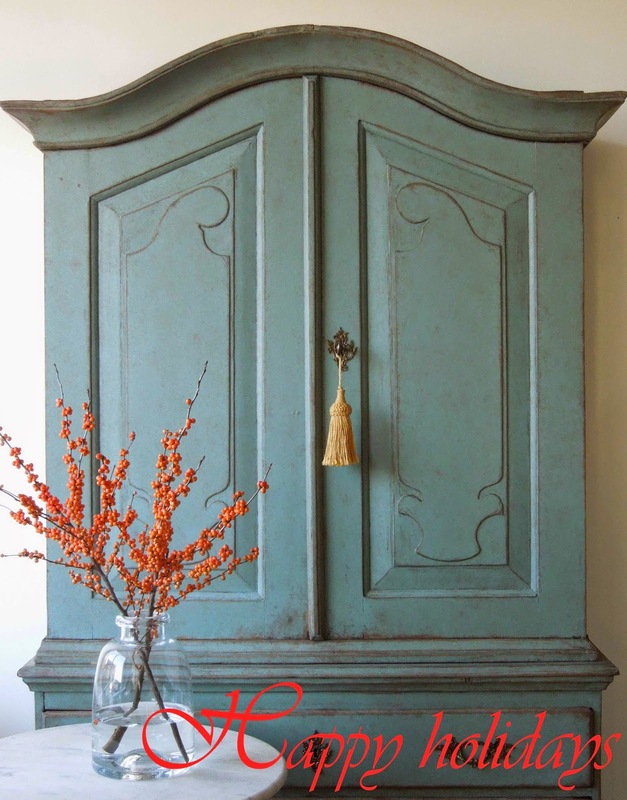 When it comes to cabinets, I like them tall; the taller the better! 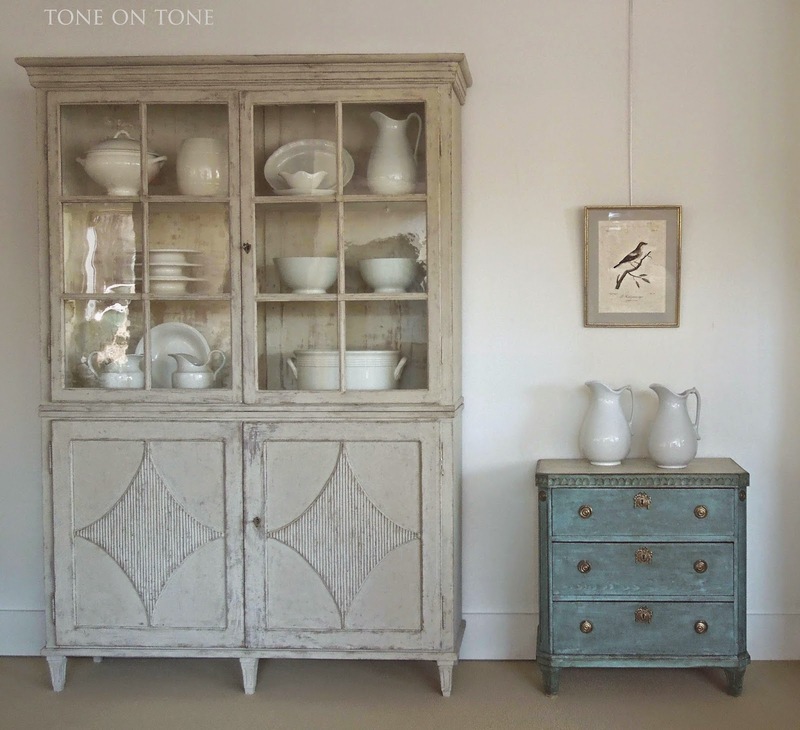 This Ca 1790s vitrine is the quintessential Swedish Gustavian case piece with its humble form and quiet elegance. Standing at 92" high, it somehow seems to float on those little feet. 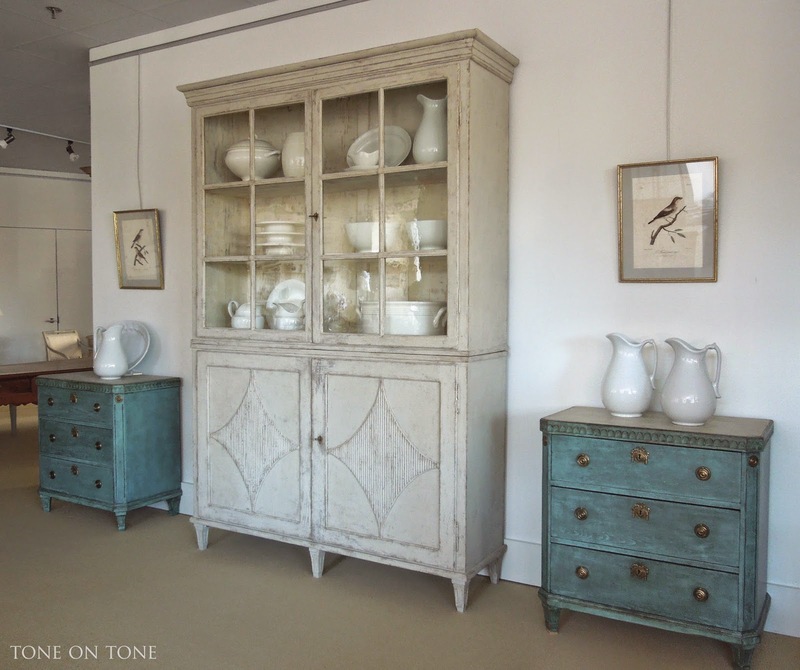 Flanking the vitrine is a near pair of Swedish blue painted chests in the Gustavian style. 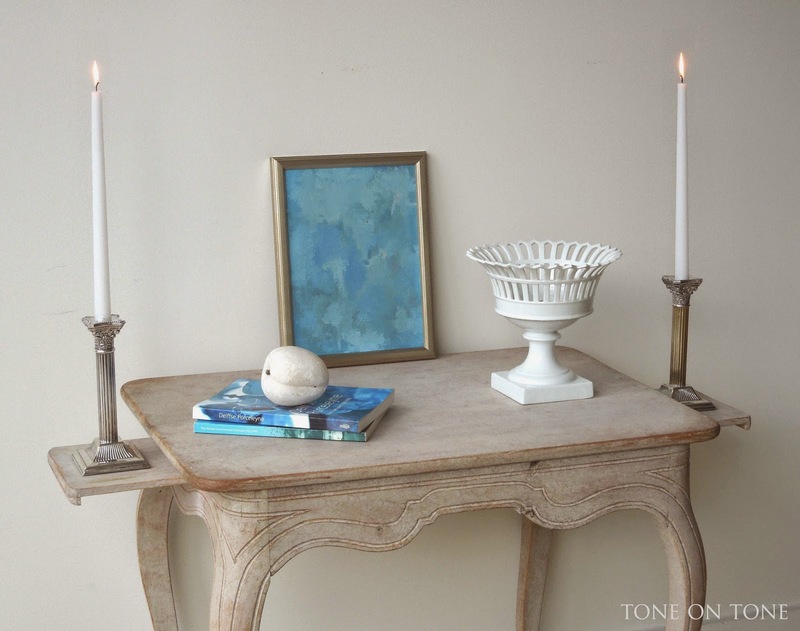 Mixing Swedish with French. 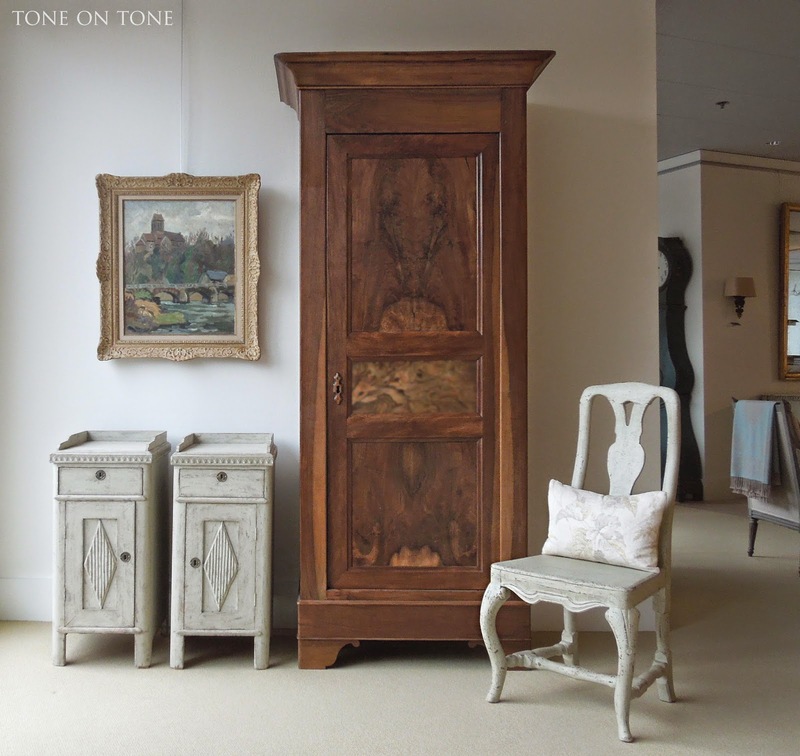 Both the Louis Philippe walnut armoire and landscape painting are French. 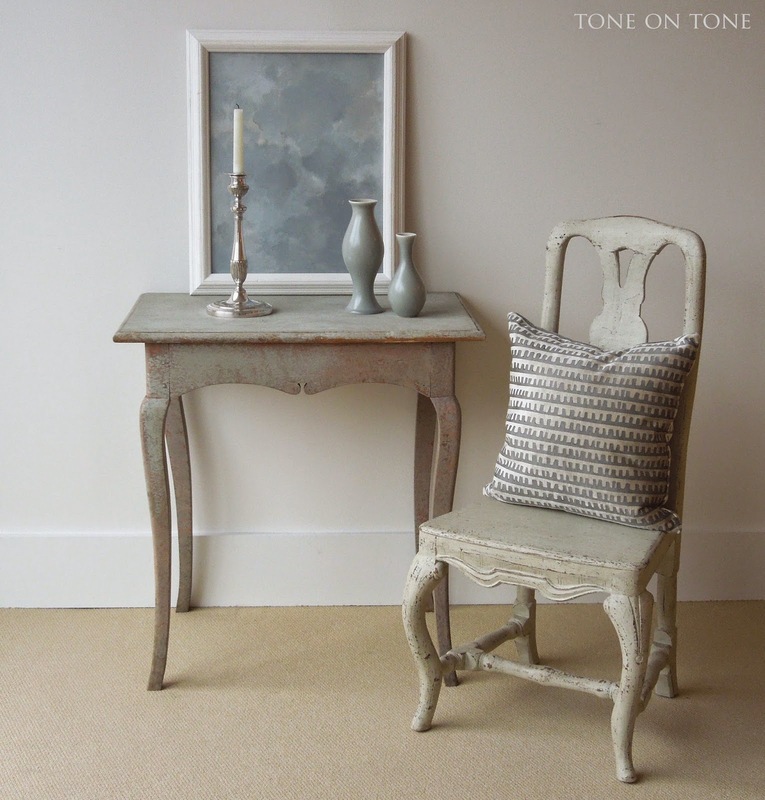 The Baroque chair (Ca 1760s) and pair of bedside tables are Swedish. Pale and definitely very Swedish in this corner. 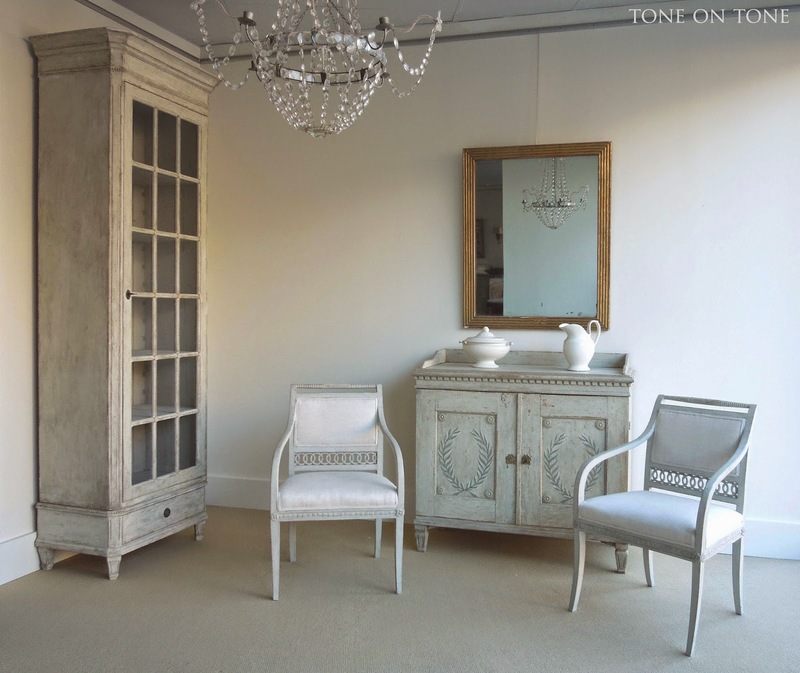 Another super tall vitrine with Gustavian armchairs and cabinet with trompe l'oeil laurel wreaths. 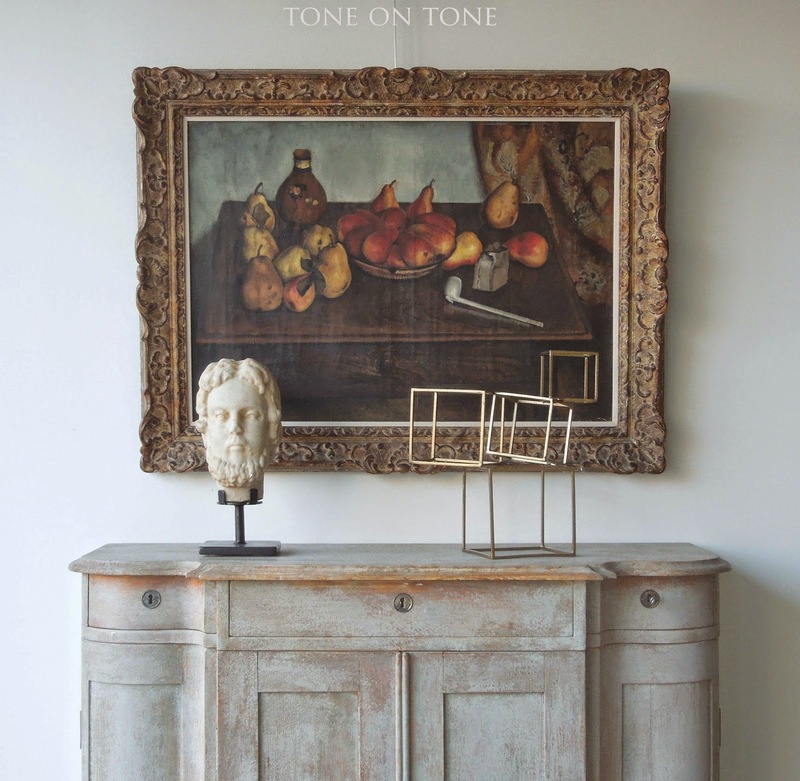 BELOW: An 18th century Baltic console with later painted surface. 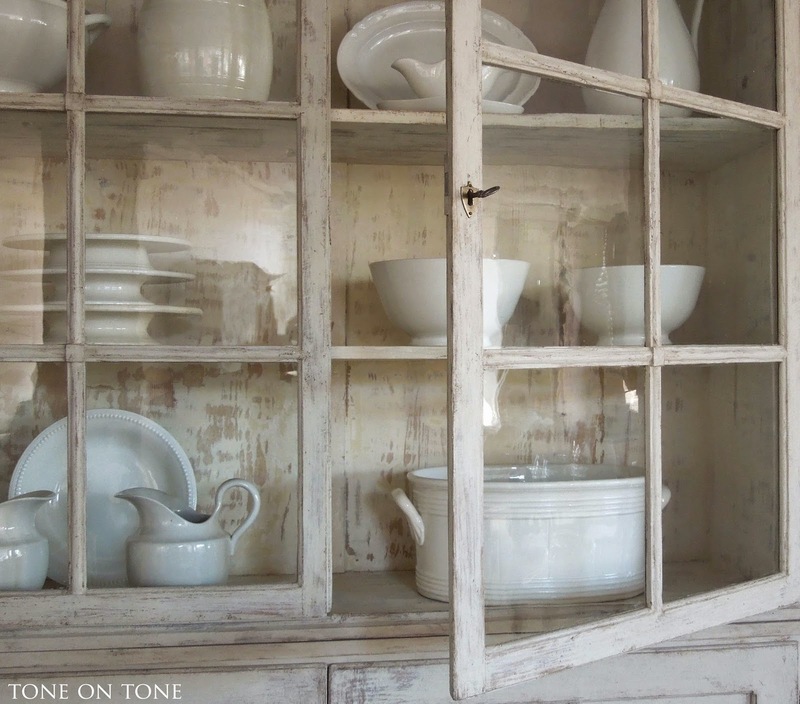 The white faience piece on top is a French brassero from the Directoire period (Ca 1790s). It once served as an elegant portable heater. 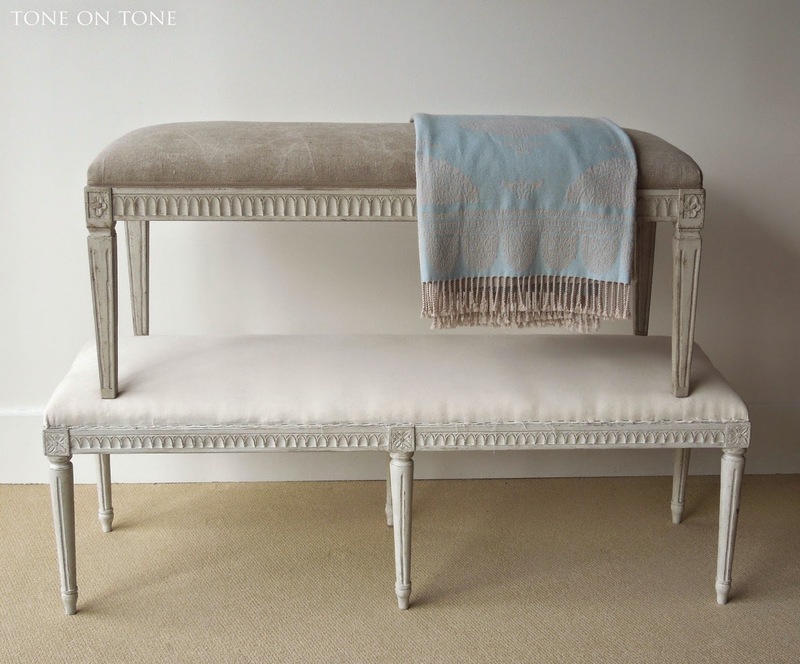 Stools and benches! Need some? 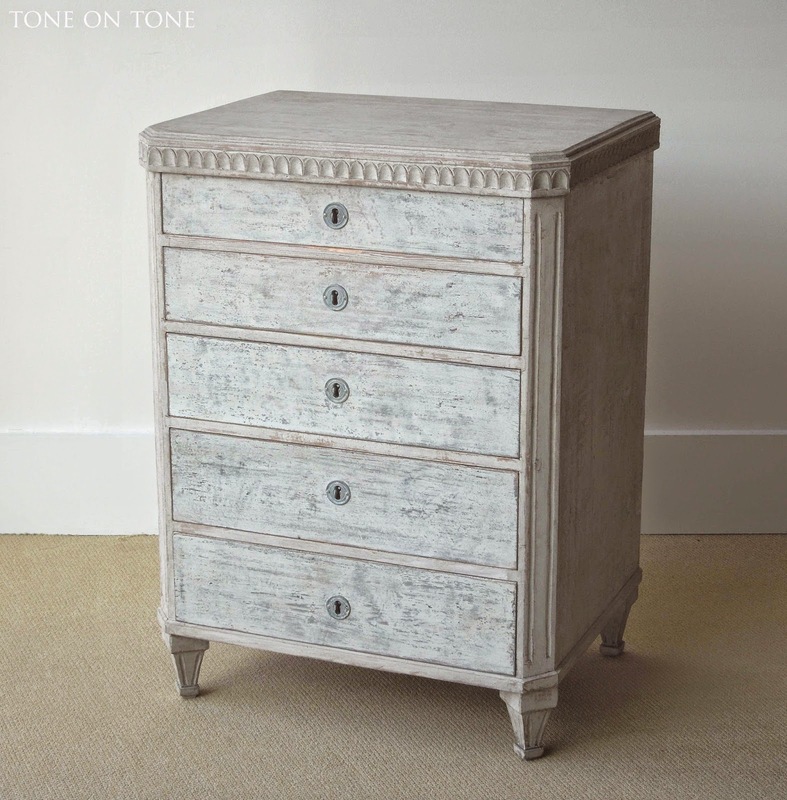 A charming small commode with an unusual arrangement of five graduated drawers. Here's a mini Perrier for scale. 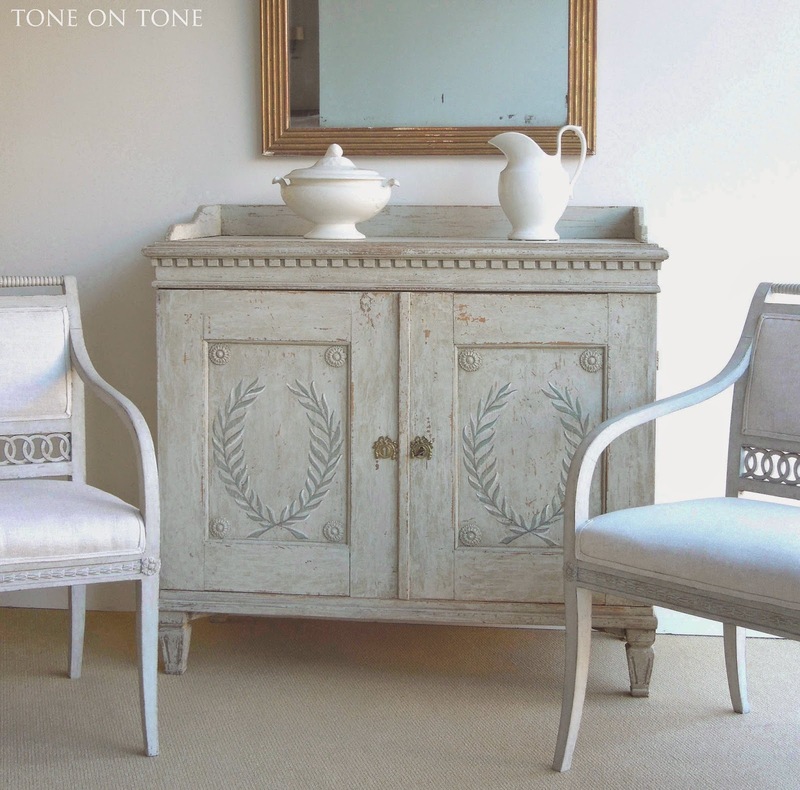 Shown here is one of a pair of Danish Empire style elmwood open armchairs with pronounced scrolls. 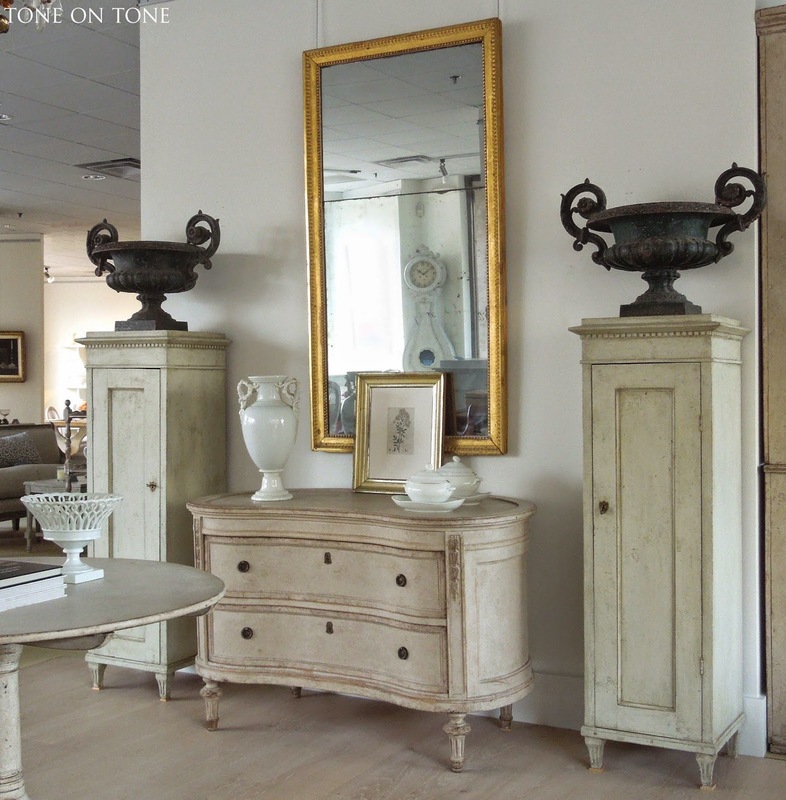 The pair of narrow pedestal cabinets are Swedish. They would look smart flanking a doorway - perhaps with plants, urns or hurricanes on top? 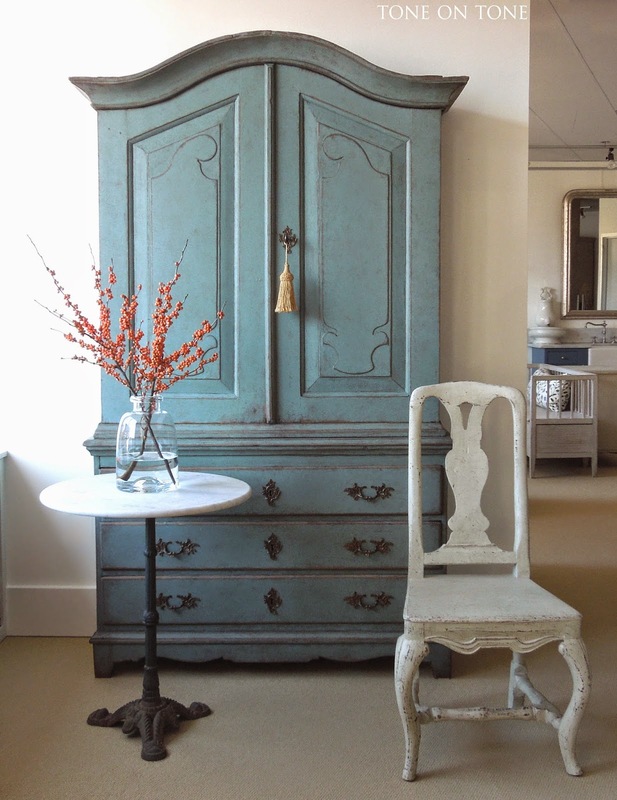 And last is this Swedish linen press or cupboard painted in a rich shade of blue gray. There are a lot more new arrivals, so I hope you'll come in for a visit. From Edith, Elaine, Jo, Tom and me, warm wishes for a happy holiday season! !